There was no Maurice Malpas, no Brian Welsh to name but two of the absentees as changes abounded the side in terms of position and personnel. Christian Dailly and Mark Perry, for example, both lined up in defence. A second minute surging run by Keith Wright was only foiled by the tight angle and Guido van de Kamp, but this was to be very much the exception to the rule of an afternoon in which Hibs started brightly, but faded into rapid oblivion! 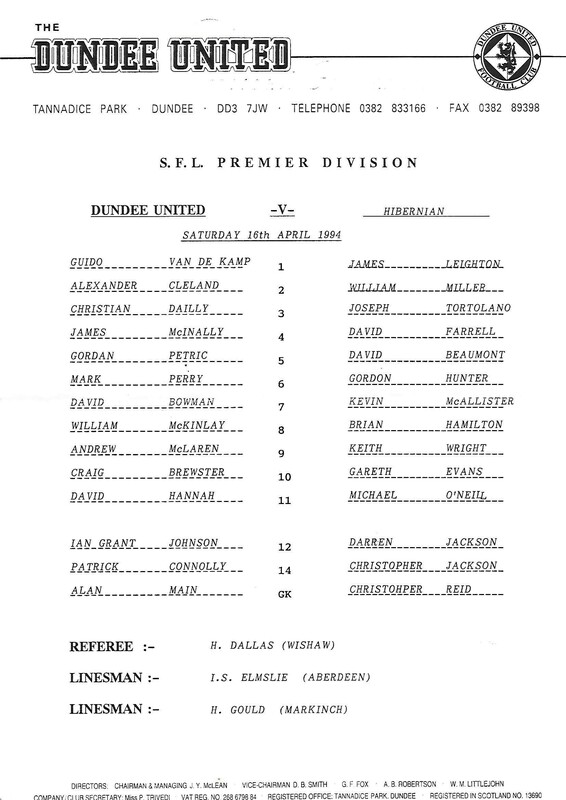 We almost went ahead in fortuitous circumstances in the seventh minute when Dave Bowman first timed an Alex Cleland cross goalwards and the ball deflected off Jim Mclnally and went inches past stranded Jim Leighton's left-hand post. 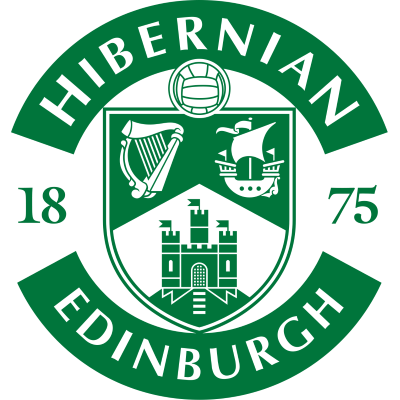 There were several anxious moments within the Hibs rearguard as tempting crosses found no takers as they flashed across the face of the goal, but when the breakthrough came, it was in spectacular fashion. Andy McLaren was fouled out on the right by Hunter. He got up to take the kick himself and the ball was headed away, but only as far as Gordan Petrić on the edge of the box and his sweetly timed volley gave Leighton absolutely no chance as the ball flew into the top right hand corner. Four minutes later and the commanding Serb was instrumental in United's second goal. Craig Brewster was fouled just outside the penalty area. Gordan Petric powered in a low shot from the free-kick which bounced off Leighton's chest and Craig Brewster stepped in quickly to hammer the ball into the roof of the net. Ten minutes from the interval, Jim Mclnally fended off Hunter's challenge to hook the ball back into the middle where Craig Brewster nodded the ball down to Billy McKinlay who blasted in the third with a volley off the underside of the bar. 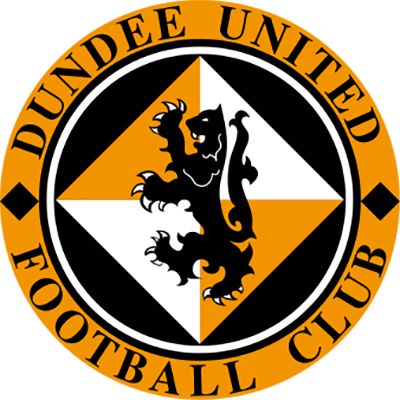 United were now firmly in the driving seat, but had to bring Grant Johnson on for the injured Dave Bowman, but continued to dominate into the second half with Hibs almost powerless to ruffle United's defensive feathers. More goals nearly came at the other end as Tortolano cleared an Andy McLaren shot off the line eight minutes into the second half. Hibs made a double substitution in the 17 minutes into the second period, but Darren Jackson's sole contribution after coming on was to be booked within four minutes! Towards the end over elaboration cost United further goals on at least a couple of occasions, so we had to be content with equalling our best score of the season against a strangely lifeless Hibs. 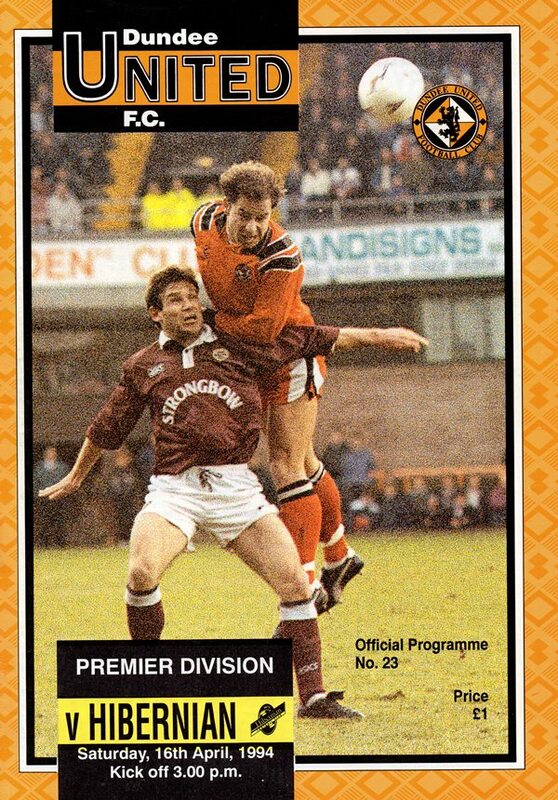 Tannadice. I am sure that there will be envious eyes all around the Country that our season will last until the very last day of the season. However, all that is very much in the future and the Players must get on with the job in hand and that is improving our league position. Too often during this campaign, we have shot ourselves in the foot by letting in sloppy goals. Aberdeen's goal in the semi-final was just another example of what has been happening all season, but we must stop this benevolence if we are to achieve the heights of which we are capable. 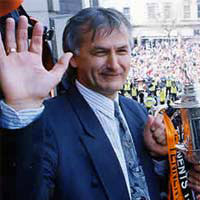 My message to the Players as we go into today's home game with Hibs is to forget all about the Scottish Cup Final. Until our league programme is completed, as far as I am concerned the Final does not exist! The sole focus of attention must be on improving our position in the league and adapting positive attitude in our remaining seven league games. The Scottish Cup Final will take care of itself, but we must start chalking up more victories in the league and catch up with the pack of clubs immediately ahead of us.